A sniper sits on a house which could collapse at any moment. A young artist protects a circus that has been empty for a long time. A film-maker records the ruins of his city. A nurse searches for life in the corpses. 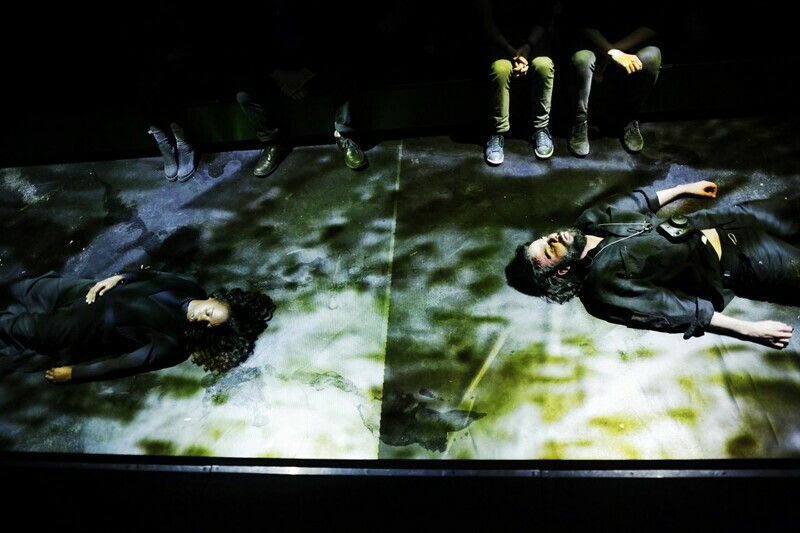 Inhis first Berlin production, Ayham Majid Agha, artistic director of the recently founded Exile Ensemble at the Maxim Gorki Theatre, transforms Studio Я into a conflict zone in order to trace the uncanny connection between killing, loneliness and fragility. Ayham Majid Agha, wurde 1980 in Syrien geboren und lehrte zwischen 2006 und 2012 an der renommierten Hochschule für Darstellende Künste in Damaskus. Anschließend arbeitete es an verschiedenen Theatern in Damaskus, Manchester, Amman, Beirut, Kairo, Seoul und Hannover. Seit 2016 leitet er das Exil Ensemble am Maxim Gorki Theater, wo er zuletzt sein Stück Skelett eines Elefanten in der Wüste inszenierte.